Delivering the third Selector Series of the year are infamous Italian Tech House DJ’s, The Cube Guys. Delving through the back catalogue, this dynamic duo select their favourite Toolroom hits, remixes and a selection of their own critically acclaimed releases on the label. Featuring 16 tracks from Mark Knight, UMEK, Federico Scavo, Rene Amesz, David Penn, Weiss, Harry Romero as well as their Beatport top five collab with Prok & Fitch ‘Don’t Go‘ & Miami 2013’s anthem ‘Work‘ with ATFC. 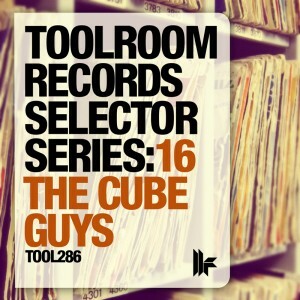 Bringing their own flavour & style to these Toolroom favourites in their expertly compiled full-length DJ mix, ‘Toolroom Records Selector Series: 16 The Cube Guys‘ is guaranteed to connect with Tech House fanatics around the world.